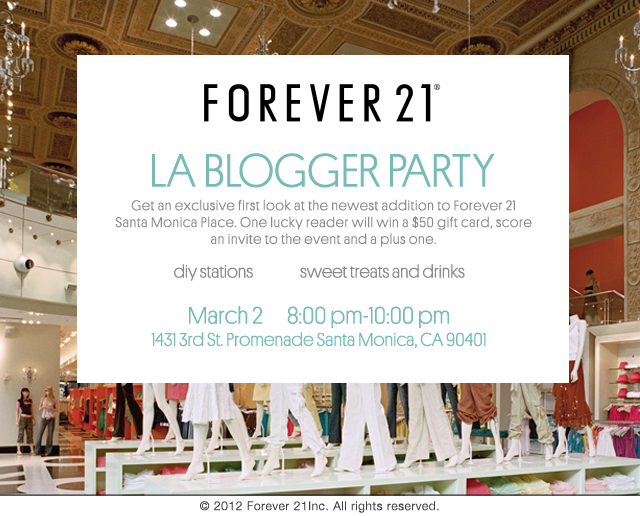 I want the "Matelasse & Mesh Dress" from Forever21 if I win the gift card! I will probably be picking up some colored jeans and blazers! I am loving the striped moto-jacket! I'd be picking up some colored pants and a cream or black blazer. I'd LOVE to go to this event!!! wow, seems really cool! i reaaaaaaaaaaallllllly wissh i could enter =( but i have to go to a concert..haha. good luck to everyone though! Fun! I attended this event, and loved the DIY station! This store is always so clean and well stocked. Wish we could have met!